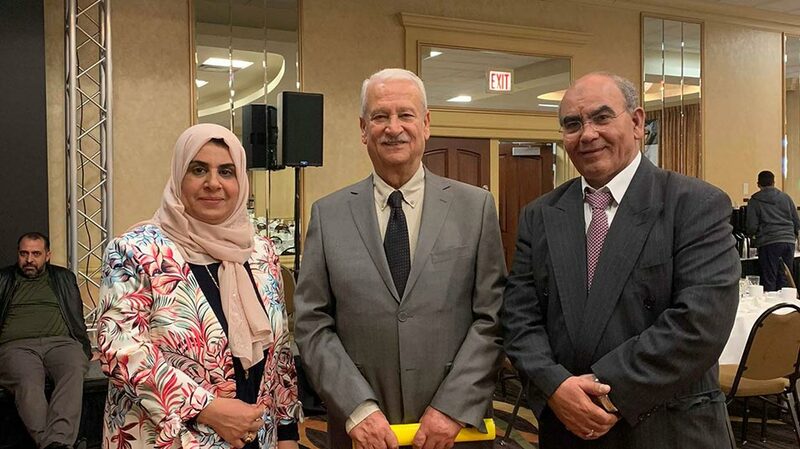 Birzeit University president Abdullatif Abuhijleh met with members of the Palestinian diaspora, the university’s alumni, and a number of charitable foundations during his 10-day tour in Washington, New York, and New Jersey. Speaking at the invitation of the Holy Land Fund Foundation, Abuhijleh talked in two charitable events about higher education in Palestine and the role of Birzeit University in knowledge production in a special event celebrating the 50th anniversary of the foundation’s establishment, and at their annual fundraiser dinner. 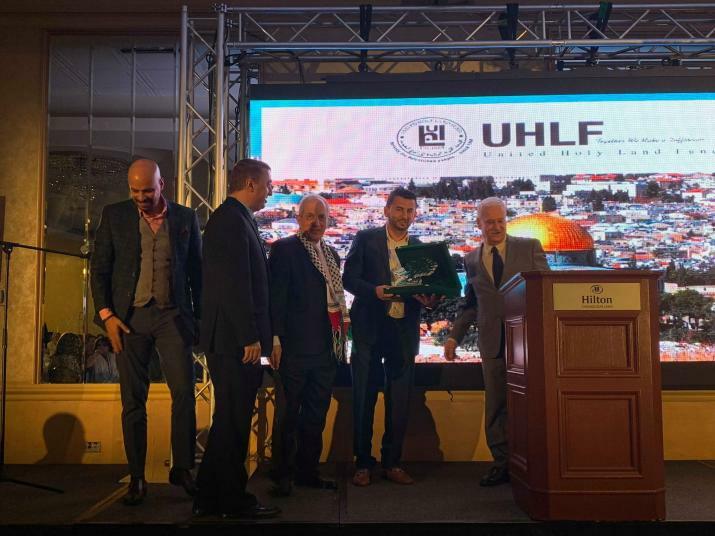 The foundation was established by Palestinian businessmen and offers scholarships and grants to students throughout Gaza and the West Bank and support orphans financially. Abuhijleh stressed, “Each and every Palestinian, regardless of country of residence or passport, plays a critical role, not only in the ongoing provision of quality education at Birzeit University, but also in the long-term development of Palestinian higher education.” He alluded to the university’s international program – the Palestine- Arab Studies Program (PAS) - , in which the university transcends borders and fights for the elimination of all expressions of ghettoization and racism. 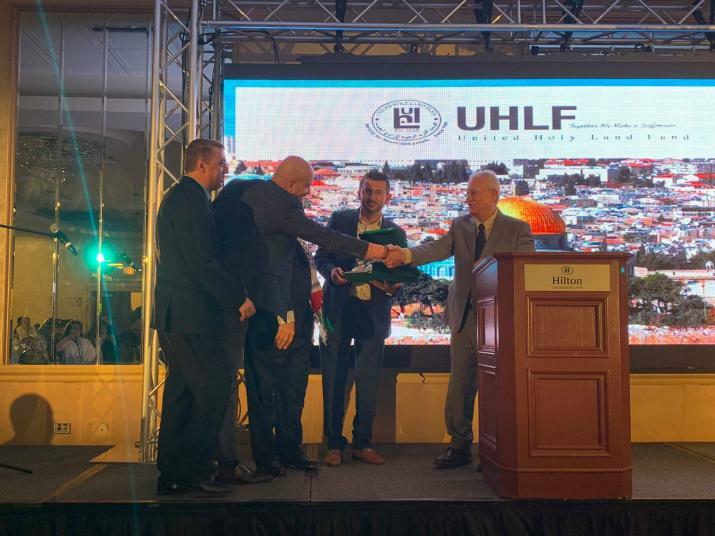 During the dinner, the foundation offered 71 partial grants for Birzeit University students. Abuhijleh also met with Arab state representatives and delegates during his visit to New York, with the attendance of the Archbishop of Sevestia of the Greek Orthodox Patriarchate in Jerusalem Attalla Hanna, and the Permanent Observer of Palestine to the United Nations Riyad Mansour. They discussed the Palestinian question and the violations that the higher education system faces because of the Israeli Occupation. Abuhijleh stressed the alarming escalations taken by the Israeli authorities that impede the freedom of movement of Palestinian students and academics and on the movement of international academics working at Palestinian academic institutions, many of whom are of Palestinian origin and have family ties there. Some of them have been denied entry to the country, or have had their visa renewal applications rejected by the Israeli authorities. The delegation reaffirmed their support and solidarity to Palestinians. The president also met the he Regional Director of the UN Development Program (UNDP), Murad Wahbeh, and introduced the “Leadership and Active Citizenship Program-Masari,” which spans a period of three years, during which students complete six stations: Personal Competencies, Career Path, Debating, Citizenship, and Social Entrepreneurship. Wahbeh showed great enthusiasm and expressed his readiness to support future projects under the umbrella of Masari.